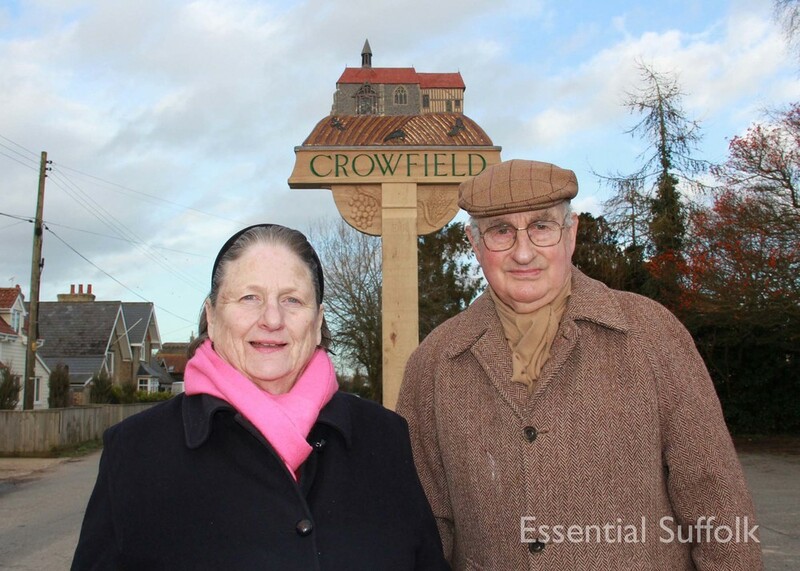 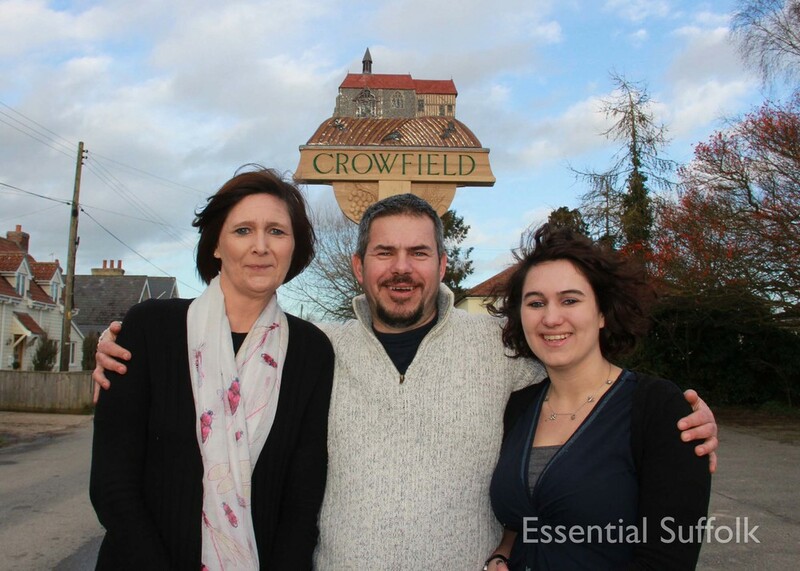 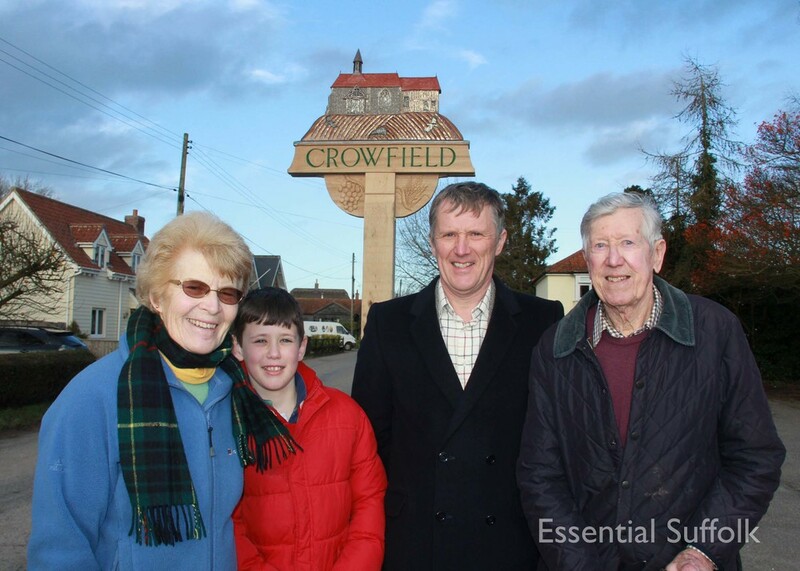 To commemorate the Queen's Diamond Jubilee the village of Crowfield commissioned a new village sign which was unveiled on February 1st 2014 by local resident and much loved comedian and actor Roy Hudd. 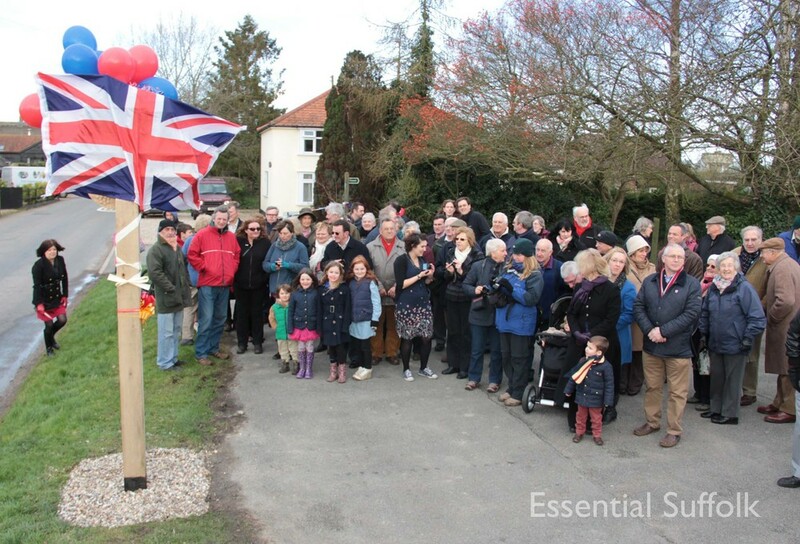 After days of rain the skies cleared for the 'reveal' and a large crowd gathered to witness the event. 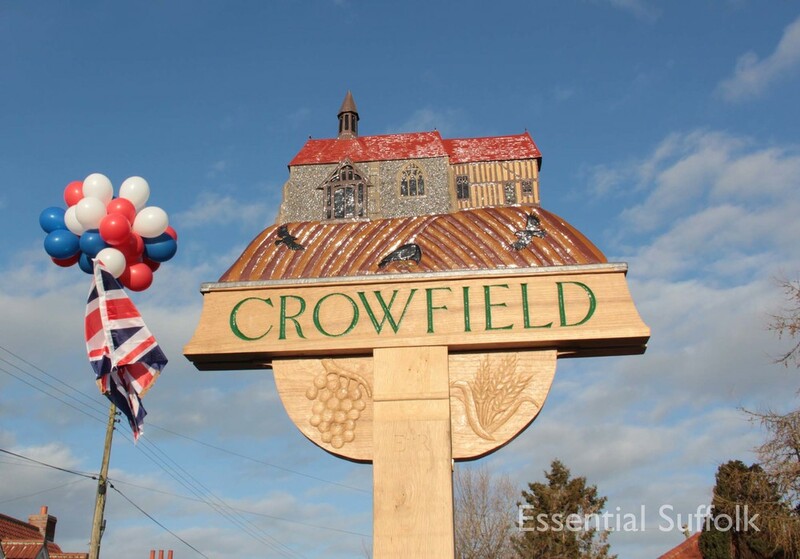 Designed and crafted by Norfolk sculptor Steve Eggelton the sign depicts Crowfield's All Saints Church with a ploughed field in front being scoured by crows. 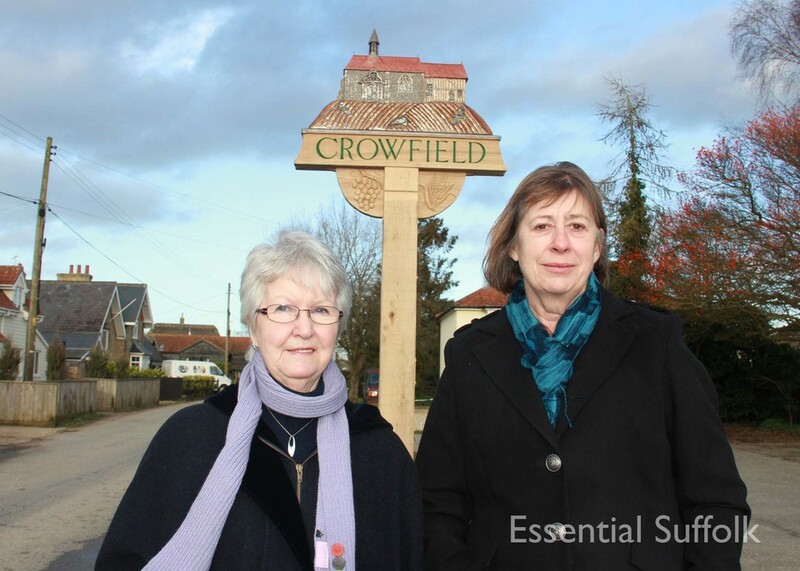 Fund raising to generate the £3,500 was led by village resident Denise Wilcox with a large part of the money required generated by a "one- off" celebrity concert by Roy. 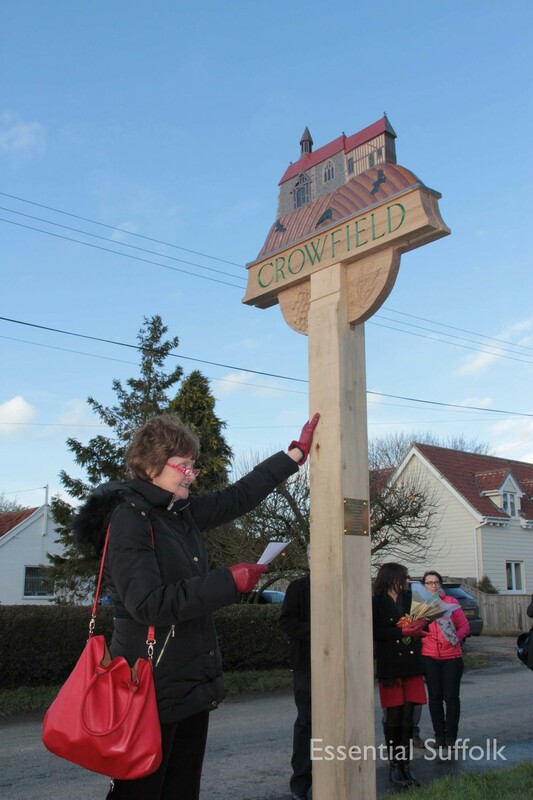 The unveiling cake - another piece of art!